Pictured are police Sergeant Jack Soberick, left, and Tamaqua Salvation Army volunteer Tom McCarroll. 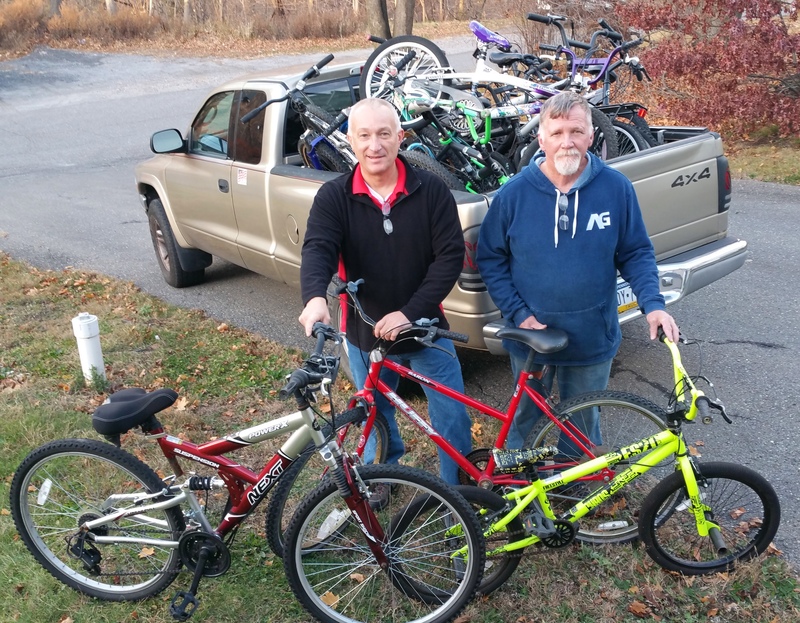 The Lansford Police Department donated about a dozen confiscated or unclaimed bicycles to the Tamaqua Salvation Army. Officer Chris Ondrus said the department didn’t want to throw the bicycles away and was glad the Tamaqua Salvation Army could try to salvage them. Most are in good shape. Sergeant Jack Soberick added that the department is urging parents to sketch their name and phone number on any of their kid’s bicycles. If you are able to donate time or money to help repair any of these bicycles, please call 570-668-1234.